The 2008 Dauphiné Libéré Gets Steep! You are at:Home»Alps»French Alps»The 2008 Dauphiné Libéré Gets Steep! 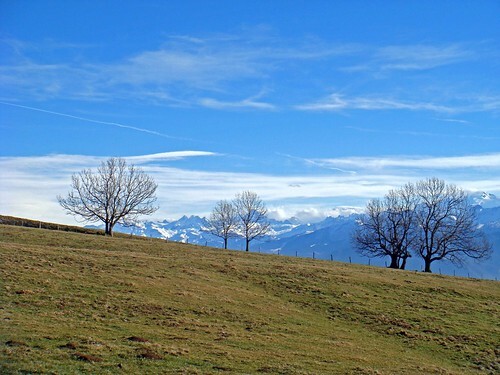 Yes, the Dauphinée will climb Le Salève up the super steep route from Collonge-Sous-Salève just behind my house. It is rated category one but features 4 kilometres averaging 12% - with a full kilometre averaging 13%. This is steep! They just announced the route for the 2008 Dauphinée Libéré and the course looks fantastic. This means it has lots of climbs. The race will take place from June 8th to June 15th and is used by many teams as a major warm-up before the Tour de France. The official official race site is here. The final four days are full of climbs – this will be an exciting and challenging race – featuring legendary climbs like Col de Joux Plane and Col de la Croix de Fer. But for me, the most exciting part is that stage four will feature the climb behind my house. 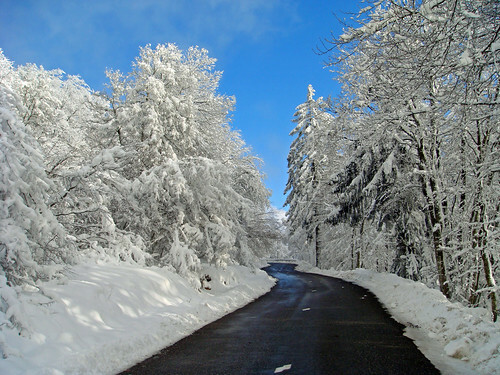 Up to the Col de la Croisette. 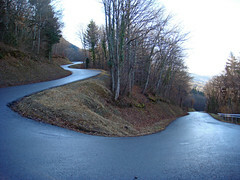 Yes, the Dauphinée will climb Le Salève up the super steep route from Collonge-Sous-Salève. It is rated category one but features 4 kilometres averaging 12% – with a full kilometre averaging 13%. This is steep! Legendary climbs like Alpe d’Huez or Galibier don’t have anything even remotely as steep as this. It will be painful and exciting. 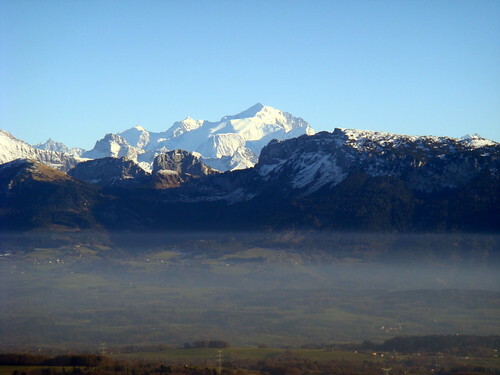 Le Salève is the Massif overlooking the South-west side of Geneva. There are numerous ways to cycle this mountain, but the Dauphinée has picked the toughest – by far. Up top there are thrilling views of Geneva and the lake on one side and the entire French Alps on the other. 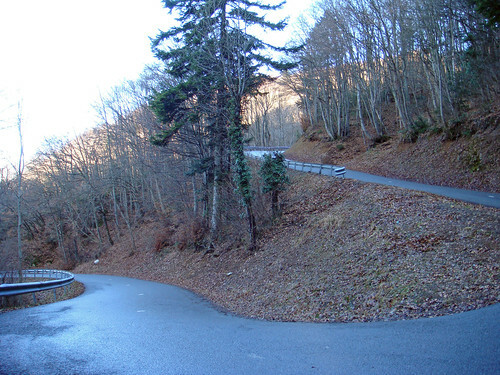 As soon as I saw that picture Will… I thought… there are a lot of hairpins in the alps but I know I’ve seen this before in Will’s blog on one of his rides… actually I’ve seen it snow covered and without. And it’s in your backyard? That’s just sick… (in a great way)! I don’t live near Salève but that day will be very exciting for me too. It will be a great stage and we’ll probably discover the better cyclist of the race in that wonderful climb. 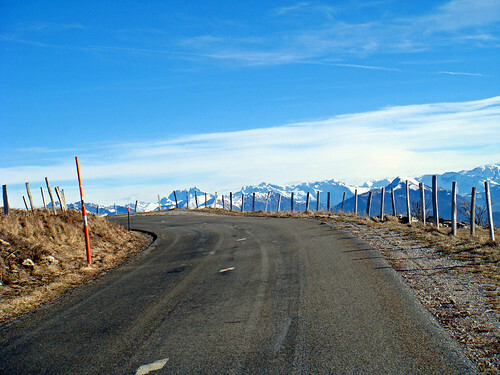 Very good stage in Chartreuse too, with Col du Granier (hard and famous by Chapareillan). 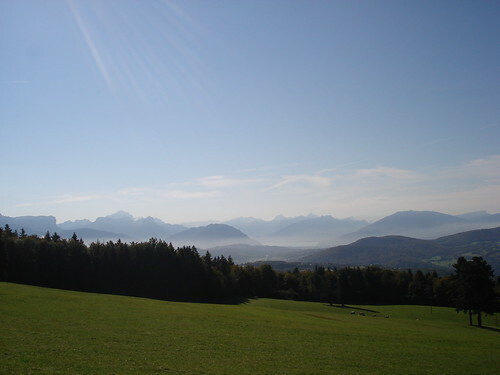 PS: Will, you are lucky with that climb of Salève, you can go there on foot or by bicycle. You’ll are no problem to park your car… And maybe you’ll climb Le Salève by bike just before the race like during Tour de France ? Oui, il y a plusieurs étapes très interessant cette année (pour les grimpeurs). Et bien sur je vais essayer regarder l’étape de Salève apres ayant le grimpé depuis chez moi. 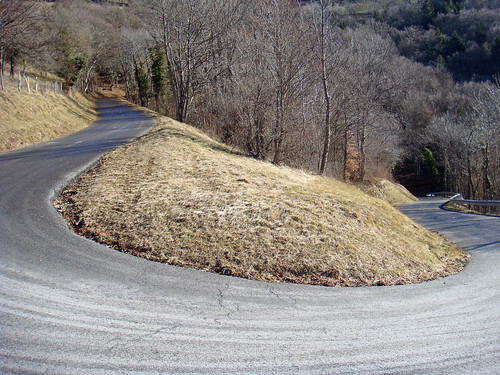 Yes, there are several great stages in this years Dauphinée (for the climbers). And of course I will try and watch the Salève stage up top after cycling it from my house. I am not sure to be available on June 12. I have just discovered the second stage and the third one (the time trial) will arrive or take place very close to here so, I ‘ll be there watching.